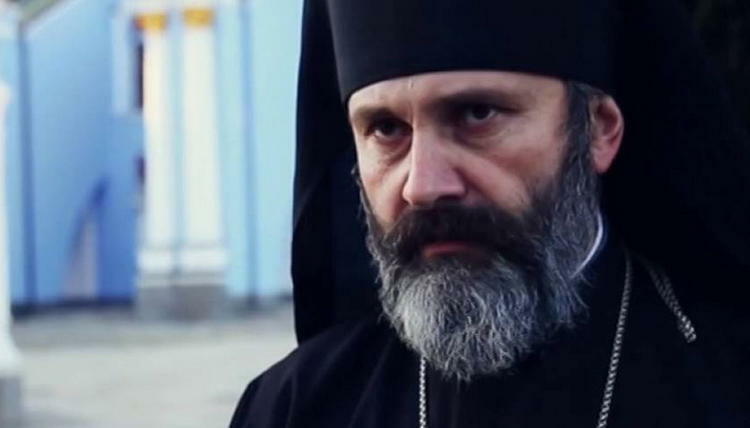 Archbishop Klyment (Kushch) of Simferopol and Crimea, head of Kherson Eparchy of the UOC-KP became a public defender of the Ukrainian political prisoner convicted in the annexed Crimea, Volodymyr Balukh. The relevant petition of Balukh’s defender was upheld by Rozdolnensky District Court of Crimea on April 2, lawyer Olga Dinze told to Hromadske. “It is the first time in our practice that a clergyman can participate in the defense of the accused along with lawyers. The court upheld our petition, decided that the education of Bishop Klyment is enough,” said Olga Dinze. According to Archbishop Klyment, now he could visit Volodymyr Balukh and not ask a separate permit for every time. “I can provide him with spiritual help, support, he can confess, and it will not be necessary to take permission every time to visit him. I believe that this is a great victory in Balukh’s case,” said the archbishop. He also added that in the 12 days of the hunger strike, Baluckh became very thin. “I will now try to communicate with him in such a way that he still thinks about how to save his strength, how to save himself. For it is important for us to preserve Volodymyr Balukh’s life,” added Archbishop Klyment. As reported, Volodymyr Balukh was convicted by the illegal court of the Crimea to 3 years and 5 months’ imprisonment in the settlement colony. On March 19, Baluch announced a hunger strike, protesting against his sentence. He drinks only water and tea. Health problems intensified. On March 31, Balukh was transferred from a one-person cell to another, where he is under constant video surveillance.